More evidence (as if any were needed) that we need more regulation, not less. Regulation is a logical, necessary response to reckless, destructive behavior. Riddle me this: If we are "over-regulating," then why is so much of our water, air, etc. polluted? Nitrogen and phosphorus are at excessive levels. Twenty-seven percent of the nation’s rivers and streams have excessive levels of nitrogen, and 40 percent have high levels of phosphorus. Too much nitrogen and phosphorus in the water—known as nutrient pollution—causes significant increases in algae, which harms water quality, food resources and habitats, and decreases the oxygen that fish and other aquatic life need to survive. Nutrient pollution has impacted many streams, rivers, lakes, bays and coastal waters for the past several decades, resulting in serious environmental and human health issues, and impacting the economy. Streams and rivers are at an increased risk due to decreased vegetation cover and increased human disturbance. These conditions can cause streams and rivers to be more vulnerable to flooding, erosion, and pollution. Vegetation along rivers and streams slows the flow of rainwater so it does not erode stream banks, removes pollutants carried by rainwater and helps maintain water temperatures that support healthy streams for aquatic life. Approximately 24 percent of the rivers and streams monitored were rated poor due to the loss of healthy vegetative cover. Increased bacteria levels. High bacteria levels were found in nine percent of stream and river miles making those waters potentially unsafe for swimming and other recreation. Increased mercury levels. More than 13,000 miles of rivers have fish with mercury levels that may be unsafe for human consumption. For most people, the health risk from mercury by eating fish and shellfish is not a health concern, but some fish and shellfish contain higher levels of mercury that may harm an unborn baby or young child's developing nervous system. Doesn't the US Government over-regulate drugs? Or do we need more regulation in that sector. Do we really need ALL RIVERS and STREAMS to be "safe" for swimming and "other recreation"? High bacteria levels just might be NORMAL. And if they aren't normal...then why are they so high, and is the US Gov't regulating that aspect. Basically, the paragraph above says it's relatively unimportant, unless, say, your 1-year old decided to skinny dip in the river without supervision. Don't tell me we need the MADE WITH SOY AND TREE NUTS idea labelled on rivers and streams now. Regulation is a logical, necessary response to reckless, destructive behavior. I would say, yes, it certainly is. However, the US Government's history of dealing with such issues with legislation (i.e., regulation) has been piss poor, and only makes those involved very wealthy, leaving the situation worse. Looks like the EPA wants to make sure they aren't part of any potential budget cuts. EPA partners, including states and tribes, collected data from approximately 2,000 sites across the country. EPA, state and university scientists analyzed the data to determine the extent to which rivers and streams support aquatic life, how major stressors may be affecting them and how conditions are changing over time. It would be nice if they did a better job showing what the stressors are. I followed the link to the website from the article and there is little information. - Nitrogen and phosphorus are at excessive levels. Twenty-seven percent of the nation’s rivers and streams have excessive levels of nitrogen, and 40 percent have high levels of phosphorus. Too much nitrogen and phosphorus in the water—known as nutrient pollution—causes significant increases in algae, which harms water quality, food resources and habitats, and decreases the oxygen that fish and other aquatic life need to survive. Nutrient pollution has impacted many streams, rivers, lakes, bays and coastal waters for the past several decades, resulting in serious environmental and human health issues, and impacting the economy. Egads, we are doing pretty damn well with pollution when our big worry is "nutrient" pollution. No mention of what causes it. The EPA site shows this "new science" starting up in 2006, but this refers to "several decades" of impact. It would be nice if they show what "old science" or studies they used to back that up. - Streams and rivers are at an increased risk due to decreased vegetation cover and increased human disturbance. These conditions can cause streams and rivers to be more vulnerable to flooding, erosion, and pollution. Vegetation along rivers and streams slows the flow of rainwater so it does not erode stream banks, removes pollutants carried by rainwater and helps maintain water temperatures that support healthy streams for aquatic life. Approximately 24 percent of the rivers and streams monitored were rated poor due to the loss of healthy vegetative cover. Here we see that humans are part of the problem. But it earlier states that this study is done because the water ways are good for human recreation. So we need to decrease human activity so that we can preserve the water ways for human activity. And again, I did not see anything on their site that shows what the vegetation use to be, how much it has decreased etc. - Increased bacteria levels. High bacteria levels were found in nine percent of stream and river miles making those waters potentially unsafe for swimming and other recreation. This seems okay, because we can restrict swimming and recreation, which will increase vegetation cover, which will preserve the waters for human recreation. Again, it would be nice if the high bacteria levels were given some type of cause. - Increased mercury levels. More than 13,000 miles of rivers have fish with mercury levels that may be unsafe for human consumption. For most people, the health risk from mercury by eating fish and shellfish is not a health concern, but some fish and shellfish contain higher levels of mercury that may harm an unborn baby or young child's developing nervous system. It is very interesting that the percentages for the first three points are listed, and they descend going down the list, but then suddenly they switch to using numbers like 13,000. It would be nice to know what percentage that is. My guess is that it would have too little impact to get eco warriors excited and calling for more regulations. Also, what is the historical levels of mercury in fish? I remember lots of stuff about mercury in fish in the 1970s and early 80's but it has died down a lot. It would be nice if they actually provided what the increase or decrease is so we can see if our current efforts are having the desired effect before eco warriors call for more regulations without even knowing the direction we are going with current regulations. And what are we regulating? Bacteria? Vegetation coverage? Bah, no matter, we must regulate before it is too late. Even when we don't know what we are doing because we feel good for having done something. Googling "clean water act success" you find several studies that show that pollution (maybe not of the "nutrient" kind, since I didn't see it mentioned) has decreased an incredible amount. But it appears the story had the desired affect with some. What reckless, destructive behavior is causing the things mentioned in the article? 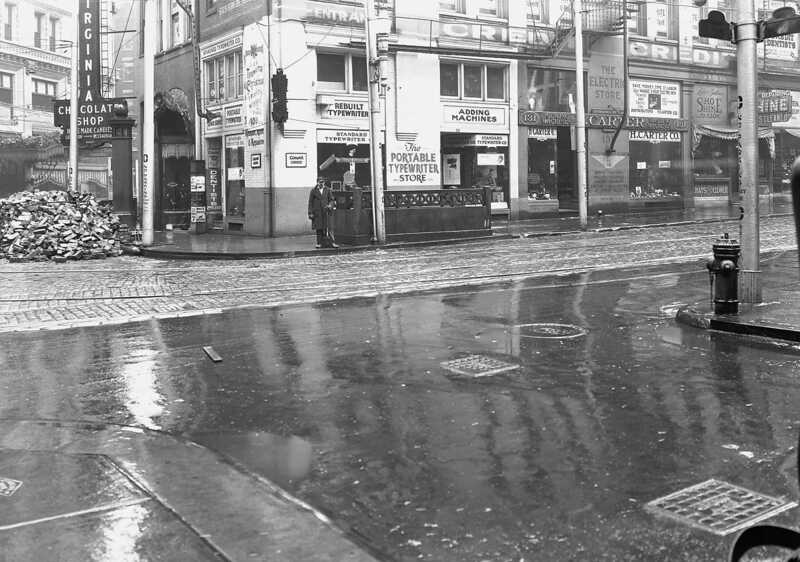 I for one pine for the 1940s Pittsburgh myself. Well, we do need more typewriter stores. Many lakes, aquifers, and wetlands are also polluted. This report was only about rivers and streams. The pollution causes direct harm to wildlife and people who come into contact with the pollutants, as well as indirect harm via algae blooms that produce toxins and decrease oxygen levels of water. In addition, the pollution causes physical changes that increase the probability of flooding during thunderstorms and hurricanes. And the pollution negatively impacts tourism and recreation. Last edited by Ghostbuster; 03-27-13 at 09:36 PM. Yes, this from the agency who decided that we needed to pay double the cost for a gas can to prevent vapors from escaping. I significantly agree with what you're saying, but if you do some checking into large corporations (such as Chicken Farms, Pig Farms, etc.) --the guys that are committing the worse atrocities--these motherfuckers OWN the US Government. And therefore, what you're looking at is the US Government regulation of smaller businesses that more than likely do a BETTER job at sanitation and cleanliness, than these big corporations. The US Government simply overlooks the big guys who are the problem. There are many documentaries on this very subject and you might even check out the Political Film forum here. Last edited by DVD Polizei; 03-27-13 at 09:56 PM. I'll take that as all true. But do we know if the pollution is getting better or worse? Like I said, looking at where we were before the Clean Water Act, and where we are now, things have improved a huge amount. I don't see why we'd need to call for more regulations if we are headed in the right direction. The article simply doesn't show anything more than where we are today....but look where we were. Things like the Cuyahoga River. They had adding machines too! What are "sewing machines"? Is that what they used to call lawyers? Health and environmental officials are evaluating the river as it flows through San Juan and La Plata counties. They said the wastewater contained zinc, iron, copper and other heavy metals, prompting the EPA to warn agricultural users to shut off water intakes along the river and law officials to close the river to recreational users. "There's nothing that can be done to stop the flow of the river," said Joe Lewandowski, a spokesman for Colorado Parks and Wildlife. "We can only wait until the flows slow down. We had a big heavy spring (of rain) here." Lewandowski said the EPA is testing to determine the river's metal levels and results should be returned by mid-Friday. Downstream in Durango, hundreds of people gathered along the Animas River to watch as the blue waters turned a thick, radiant orange and yellow just after 8 p.m., nearly 34 hours after the spill started. "It is a sad day. The fish could be gone," said Daniel Silva, 37, who was fishing near Durango as he does every day after work. "I am safety-orientated. Working in the oil fields, we take measures every day to prevent leakage. Why didn't they? If this kills the fish, what do we do?" After people told him the contamination was coming, he stopped fishing, and his daughter, who was swimming, got out of the water. And they waited on a bridge. City officials asked residents to cut back on their water use, and irrigation of city land at Fort Lewis College was stopped. The La Plata County Sheriff's Office has closed the river from the San Juan County line — including Durango — to New Mexico. Authorities say they will re-evaluate the closure once the EPA tests are confirmed. The spill was triggered at 10:30 a.m. Wednesday at the mine on the upper portions of Cement Creek, about 55 miles north of Durango. The fluid was being held behind unconsolidated debris near an abandoned mine portal, the EPA says. The agency called the release "unexpected." Deputy Stephen Lowrance of the San Juan County Sheriff's Office said authorities are keeping people away from the Animas. In Silverton, signs have been posted warning of the danger, and the sheriff's office sent out a public health advisory to stay away from Cement Creek and the Animas River. "The river looks pretty nasty," Lowrance said. "It doesn't look like water; it just looks like sludge." The mine is owned by Golden-based San Juan Corp., Durango attorney Nancy Agro said Thursday afternoon. She said the EPA had been operating at the site for years under an access agreement. "Upon suspending work last year, the EPA backfilled the portal to the mine," Argo said in a statement. "On (Wednesday), while the EPA was removing the backfill from the portal to the Gold King Mine to continue its investigation this year, the plug blew out, releasing contaminated water behind the backfill." At the time of the spill, EPA responders were at the scene evaluating the toxic materials already leaking into Cement Creek. "There were several workers at the site at the time of the breach. All were unharmed," the San Juan Basin Health Department said in a news release. "The EPA recommends that recreational users of the Animas River avoid contact with or use of the river until the pulse of mine water passes." Pet owners have been told to keep their dogs and livestock out of the Animas River until testing is done. Steve Salka, utilities manager for the city of Durango, said he pulls water from the Animas in the summer to help replenish the Terminal Reservoir. He said that although the city's main water source is the Florida River, the contamination could cause serious problems. "I want to know what's in it," he said Thursday. "The most important thing is what's in it. I need to know. "Back in the 1800s, things were used in mining that aren't allowed anymore." The Animas is a 126-mile river that flows into the San Juan River in Farmington, N.M. The San Juan eventually spills into the Colorado River in Utah. Todd Hartman, spokesman for the state's Department of Natural Resources, says the mine operated more than a century ago. It was permitted again in 1986 but never produced in the modern era, he said. "Its permit was revoked in 2005," he said. Bill Simon, one of coordinators for the Animas River Stakeholders Group, a water-quality collaborative, said the Gold King Mine was one of several abandoned sites in the area they have been monitoring for decades. "I think the EPA may have misinterpreted what was going on," Simon said. Simon said iron oxide in the spill is his biggest concern, especially since it can clog the gills of fish and large invertebrates. "This river system is somewhat used to pretty poor water quality anyway, so it remains to be seen what effect it's going to be on aquatic life," he said. The EPA agrees and says because of long-standing water-quality impairment associated with heavy metals in Cement Creek, there are no fish populations. Further, federal officials say, the Animas River historically has been impaired for several miles downstream of Silverton. It's unknown whether the spill could have any human health impacts, officials say. "We are monitoring the situation very closely and working with the EPA to get testing results to make sure we minimize any health impacts," said Flannery O'Neil, spokeswoman for the area's health department. Colorado Parks and Wildlife says it is monitoring wildlife health in the area. The agency has placed cages with fish in the river to see how they react to the waters. Officials say they should know Friday whether there were any effects. "This is a significant spill," said Elizabeth Holley, an assistant professor of mining engineering at the Colorado Schools of Mines. Staff writer Yesenia Robles contributed to this report. New Mexico Gov. Susana Martinez blasted the EPA for accidentally flooding the Animas River with toxic orange wastewater, calling on the agency to hold itself to the same standard for the disaster as it would a private entity. “Imagine what would happen if a private company caused this waste spill,” the Republican governor said in a Friday statement. An EPA team inadvertently unplugged one million gallons of wastewater during an assessment project at the inactive Gold King Mine near Silverton, Colorado, sending contaminated orange fluid down Cement Creek and into the Animas River, which crosses into New Mexico. Ms. Martinez said she was “disturbed by the lack of information provided by the EPA,” noting that she was not informed of the spill until 9:30 a.m. Thursday, even though the release was first reported at 10:40 a.m. Wednesday. When she did get the information, it came from the Southern Ute Tribe, not the EPA, she said. 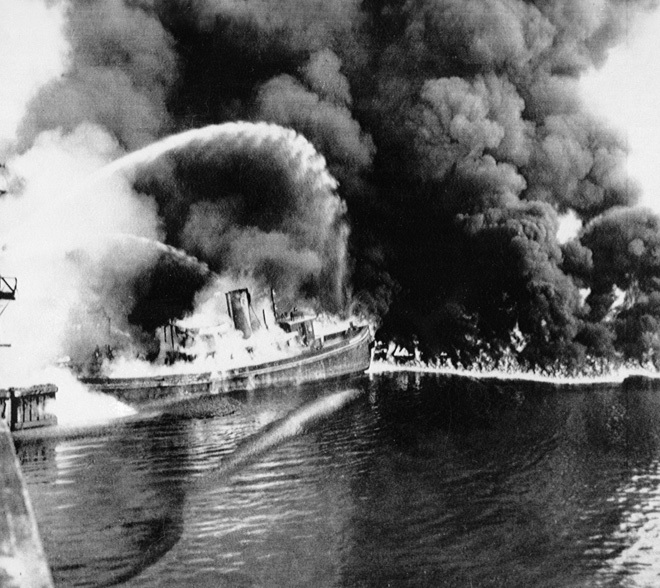 Hopefully a boot is kept on the EPA's neck to resolve this spill. Now they're saying it's three million gallons, not one million. Four days after it started, it's still leaking 500 gallons per minute. I thought the EPA was supposed to prevent this kind of thing, not cause it. (Reuters) - Some 3 million gallons of toxic wastewater, triple previous estimates, have poured from a defunct Colorado gold mine into local streams since a team of Environmental Protection Agency workers accidentally triggered the spill last week, EPA officials said on Sunday. The discharge, containing high concentrations of heavy metals such as arsenic, mercury and lead, was continuing to flow at the rate of 500 gallons per minute on Sunday, four days after the spill began at the Gold King Mine, the EPA said. An unspecified number of residents living downstream of the spill who draw their drinking supplies from their private wells have reported water discoloration, but there has been no immediate evidence of harm to human health, livestock or wildlife, EPA officials told reporters in a telephone conference call. Still, residents were advised to avoid drinking or bathing in water drawn from wells in the vicinity, and the government was arranging to supply water to homes and businesses in need. The spill began on Wednesday after an EPA inspection team was called to the abandoned mine near the town of Silverton in southwestern Colorado to examine previously existing wastewater seepage. As workers excavated loose debris at the site, they inadvertently breached the wall of a mine tunnel, unleashing a flow of the orange-tinged slurry that cascaded into Cement Creek and then into the Animas River downstream. The town of Durango, Colorado, roughly 50 miles south of the spill site, shut off its intakes of river water as a precaution, according to the EPA. By Friday, the main plume of the spill had traveled some 75 miles south to the New Mexico border, prompting utilities in the towns of Aztec and Farmington to shut off their intakes from the Animas as well, local authorities said. Agency officials said they were consulting with representatives of the Navajo Nation, whose sprawling reservation borders Farmington and the San Juan River, which is fed by the Animas River and has also been tainted by the spill. EPA previously estimated 1 million gallons of wastewater had been released since Wednesday, but on Sunday the agency revised that up to 3 million gallons, based on measurements taken at a U.S. Geological Survey stream gauge. In recent days, EPA has been diverting the ongoing release into two newly built settling ponds where the waste was being treated with chemicals to lower its acidity and to filter out dissolved solids before being discharged to Cement Creek. The creek's water quality has already been badly degraded from a long history of acid mine drainage in the area, agency officials said. Preliminary water sampling from the creek and Animas River showed that concentrations of heavy metals briefly spiked in areas reached by the wastewater plume but appeared to clear considerably once it had passed downstream, EPA regional Administrator Shaun McGrath said. EPA officials said that by Sunday, a delineated "leading edge" of the contamination flow was no longer visible from aerial surveys, indicating concentrations of wastewater were diminishing. That's really unfortunate. Don't forget this part: "The creek's water quality has already been badly degraded from a long history of acid mine drainage in the area, agency officials said." The EPA was out there checking it, because the river already had contamination problems. So there has been a leak there the whole time. Whatever was damming it up was unfortunately knocked loose by the EPA workers. And does the EPA actually do the work? Seems like something that would be contracted out to a local company. Seems like a situation that the anti-EPA people want to take advantage of and pile on the outrage. EPA’s administrator is allowing those affected by the Gold King Mine spill to resubmit their damage claims. Environmental Protection Agency chief Scott Pruitt says his agency “walked away” from Colorado after the Gold King Mine spill under the Obama administration, vowing Friday to make a federal cleanup of the Gold King and other abandoned mines around Silverton a priority. Remediation will take place at the scores of sites that have leeched millions of gallons of heavy metal-laden water from the Gold King and surrounding mines, Pruitt said, despite President Donald Trump’s proposed funding cuts to the EPA’s Superfund cleanup program. Silverton’s leaders have expressed concern about the EPA’s efforts taking too long or being delayed indefinitely. Pruitt said he is working to create a list of 10 Superfund sites — of the more than 1,300 nationwide — for the EPA to focus on. Pruitt is caught between a rock and a hard place. On one side, the Republicans have campaigned on eliminating the EPA. On the other side, the Republicans have attacked the EPA for the Gold King Mine spill. There are scores of other abandoned mines in Colorado which are ticking time bombs. The companies that dug them didn't have EPA regulations to worry about, so they extracted the precious metals as cheaply as possible and then walked away from the mess. I've ridden around the Silverton area. I can tell you that rivulets of bright orange water were all over the place. So, does Pruitt eliminate the Superfund program and simply let those other abandoned mines pollute the surrounding waterways, knowing that one dam burst could cause another major spill? Or does he admit that the EPA has actually been doing good work up until now, and he plans to continue it? Last edited by Nick Danger; 08-08-17 at 08:33 AM. You can tell the replies by kvrdave in this thread were in his pre-weed days. 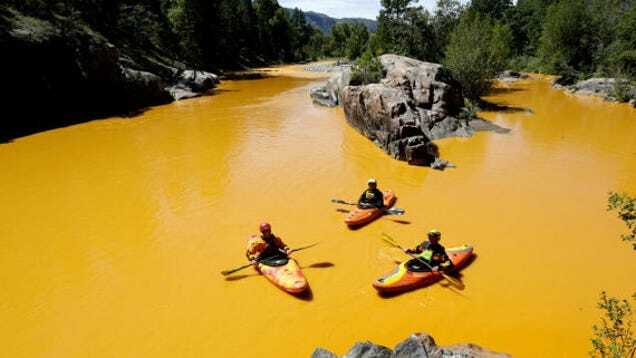 All I know about the Colorado situation is that it was an inept EPA cleanup effort that triggered it. It's probably best to let sleeping polluted mines lie, if the clean up effort is potentially going to cause a disaster. In this case you might be correct, as the cure appears to be worse than the disease. Out of 1600 Superfund sites, you've heard of one. The Gold King Mine was filling up with water year after year. The toxic water was held back by an earthen dike. How would letting it lie have improved the situation?